You are currently browsing the Superior Promos Promotional Products and Items Blog blog archives for May, 2012. Take Advantage of our Today Only Sale! Superior Promos Promotional Products is having a today only sale on Promotional Business Card Magnets. This coupon is valid today only-stock up on your custom promotional magnets before the month is over! Use the discount code magnetsale at checkout and receive an extra 10% off any quantity of magnets. Can be used for reorders. Discount is applied to base price and setup charges only. Visit our large selection of Promotional Custom Magnets now and provide us your logo or text to get started! Hawaii has recently become the first state in the U.S. to ban the use of plastic bags by retailers. Legislation that first started at the local level has now spread to outright state bans. Major cities such as Los Angeles are setting the precedent for plastic bag bans while other major cities are continuing to follow. With this environmentally conscious shift in mind, is your business prepared to comply with these regulations? Superior Promos has the perfect solution for both the eco-friendly consumer as well as businesses with our customizable Promotional Bags and Promotional Totes. 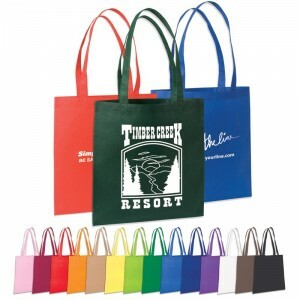 Our Promotional Bags are practical, durable, cost efficient and moreover they are a great way to showcase any brand! Regardless of your industry, Promotional Bags are a great way to “go green,” and provide customers with a useful product customized with your brand. Visit our large selection of Promotional Bags now and provide us with logo or text to get started!